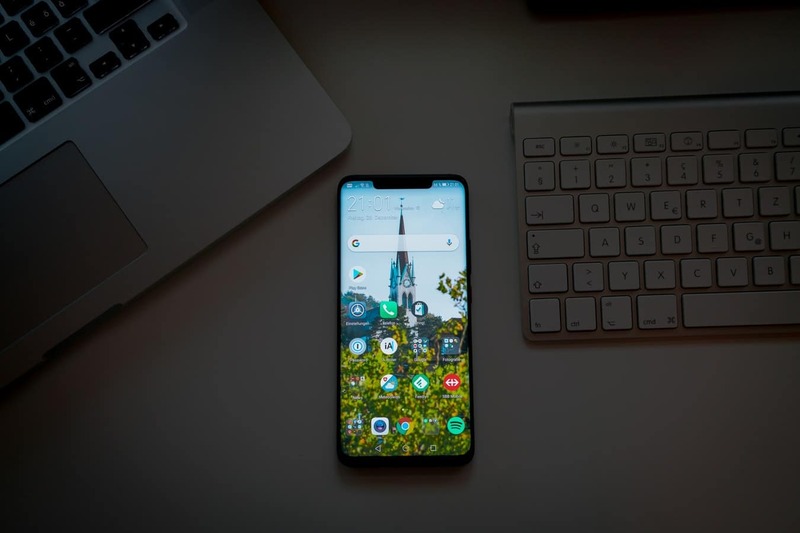 Home / The Best Budget Smartphones for 2019: Which One Should You Buy? Budget smartphones rather obviously come down to money. You need a phone and you don’t want to spend a fortune. Budget models are a rapidly growing niche, meaning you’ll have plenty of choices. And though there are sacrifices to be made (you’re not going to be getting top end features for your money), in many cases those sacrifices aren’t as big as you might think. Perhaps you’re looking for a phone for a child, perhaps you’re looking for a second phone as a backup. Or maybe you’re just looking for a decent phone that doesn’t mean skipping lunch for a year whilst you pay it off. Whatever your reasons, there are some great budget options out there. Smartphones are all pretty much alike, you’re going to be getting a magic rectangle that can call, text, and connect to the internet. But in order to make your choices a little easier, we can divide budget phones into three different classes, depending on just how much you have to spend. If you’re really on a tight budget, then you can definitely get a decent phone for under £150. An ultra-budget model will mean sacrificing a few (possibly important, depending on your priorities) things, you’re likely to get less power and speed, and unlikely to get a high definition display. But you will get a solid phone that will do its job. A medium budget phone will cost you between £150 and £200. If you’re willing to spend just a few pounds more, then you’re going to get better specs, more power, and better performance. This is the price bracket that the majority of budget handsets fall into, so you’re going to get more choice as well. Finally, there’s a class of phones that cost between £200 and £250. These are less likely to be marketed as budget phones and are really at the lower end of the mid-range sector. However, for that little bit of extra cash you’re going to be getting even better specs and performance, and maybe a few extra features thrown in as well. 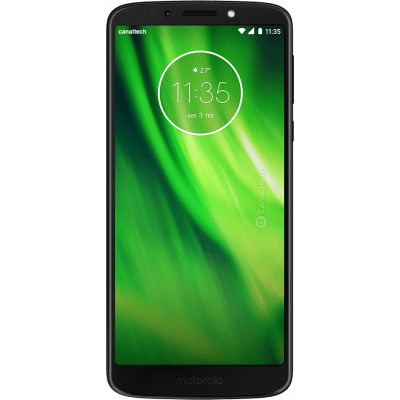 Motorola has quite the reputation for making powerful budget phones, and the new G7 Power is no exception to that. You’re getting some very impressive specs for the price. There’s full octa-core processing made up of two quad-core 1.8 GHz processors, and a full 4 GB of RAM. That makes this a very fast and responsive phone indeed, and the G7 gets great performance. Okay, okay, not everything is about money. But this is. You need to take a serious look at your budget and what you can afford. Be realistic. The majority of people end up spending more on a phone than they intended. Go into this with a firm top number in mind, and don’t go over it. It’s not worth going into debt (or skipping lunch) just for a phone. We all use our phones differently. For some of us, a camera is the most important feature. If you like watching videos and gaming, then a decent display will be a priority. Think about how you use your phone and which specs are likely to be most important for you. You’re shopping in the budget niche, which means compromises will have to be made. It’s important that you know what exactly you’re prepared to compromise on. Most of us have been using smartphones for some time, and we all have our preferences. Perhaps there are certain manufacturers that you prefer or some features that are must-haves (or deal breakers). Unfortunately, at this price point, your choices are going to be limited to Android phones. Other than that though, make a note of any individual preferences that you have that will help you make your decision. Performance: Performance is key, and that means looking at processor and RAM specs to ensure that your phone is fast enough, is responsive enough, and doesn’t lag. At this price point, you’re not going to get high performance or speeds. 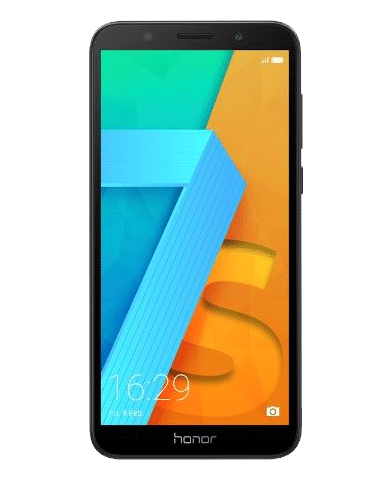 However, you should be looking for a minimum of a quad-core 1.5 GHz processor, and a minimum of 2 GB of RAM to be sure that your phone is going to run decently. Screen: Your second big spec subject is displays. You want a decent size in order to watch videos, read, and type comfortably, so we really recommend going for around 5 inches (a little more or less is fine). As for resolution, this is where many budget models miss out. You’re not likely to get a solid HD screen. Look for decent resolution numbers, but don’t get your hopes up. Cameras: Cameras are a mixed bag at this end of the market, and they’re not important for everyone. We’d suggest looking for a minimum of 5 MP at the front and 8 MP at the back. If you’re a keen photographer, you’re going to want bigger numbers than those. If a camera doesn’t matter to you, you might go with lower numbers, it’s really up to you. Internal Memory: Another area where budget phones really suffer is internal memory. The more memory you have, the more data (videos, apps, messages) you can store. And when your phone’s memory gets full, the phone itself begins to slow down. It’s important that you get as much memory as you can for your cash, and we recommend going for at least 16 GB. 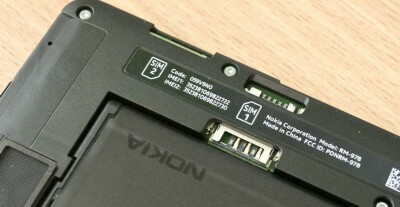 However, if a phone has an SD card slot you can add in extra memory quite cheaply, so keep that in mind. Just before we jump into those recommendations though, let us first tell you how we chose which phones were going to appear on our list. We obviously looked at budget first. We then took a close look at specs to ensure that the phone was a good buy for its price and would have decent performance. On top of that, we checked out customer reviews, since knowing how satisfied others are with a phone is a good guideline. And we do spend our days surrounded by phones, phone users, phone experts, and phone techs, so we got a ton of professional insight as well. Now, let’s get on with things. Which budget smartphones are best for 2019? 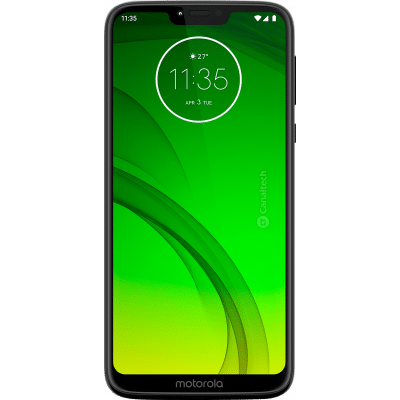 Motorola have quite the reputation for making powerful budget phones, and the new G7 Power is no exception to that. You’re getting some very impressive specs for the price. There’s full octa-core processing made up of two quad-core 1.8 GHz processors, and a full 4 GB of RAM. That makes this a very fast and responsive phone indeed, and the G7 gets great performance. The display is a full 6.2 inches, which is huge. It’s an LCD screen, and it’s not full HD though (coming in with 720 x 1570 pixels). There’s an 8 MP cam up front, and a 12 MP camera at the rear, which should be fine for most people. You get a whopping 64 GB of internal storage, and there’s an SD card slot for up to 512 GB of extra memory. Best of all there’s an enormous 5000 mAh battery so battery life is incredible. The only serious negative here is the screen resolution. However, on the whole, the G7 Power is an amazing buy. Honestly, there are specs here that we’d expect to see on phones at twice the price. So if you can spring for it, the G7 Power is a steal. The Honor 7S is by far the cheapest phone on this list and proves that you can get a decent phone for under £100. You get quad-core 1.5 GHz processing power and 2 GB of RAM, so the Honor does meet our minimum requirements. It’s not the fastest phone around, but it’s more than capable of running everyday tasks. The display is a large 5.45 inches, which should please most people. It’s an LCD screen with 720 x 1440 pixels, which isn’t amazing, but it’s sharp and gets good colour. At the front, you’re getting a 5 MP camera, and there’s a 13 MP cam at the rear, so the camera set is very good for the price. You get 16 GB of internal memory, but there’s an SD card slot so you can add up to 256 GB of extra storage. Finally, there’s a 3020 mAh battery on board, which is decent enough for this price point (though it could be better). The sacrifices here are screen resolution and battery life. However, for under £100, you have to expect to compromise. And the Honor 7S is a solid phone with decent performance, and you can’t ask for more than that. 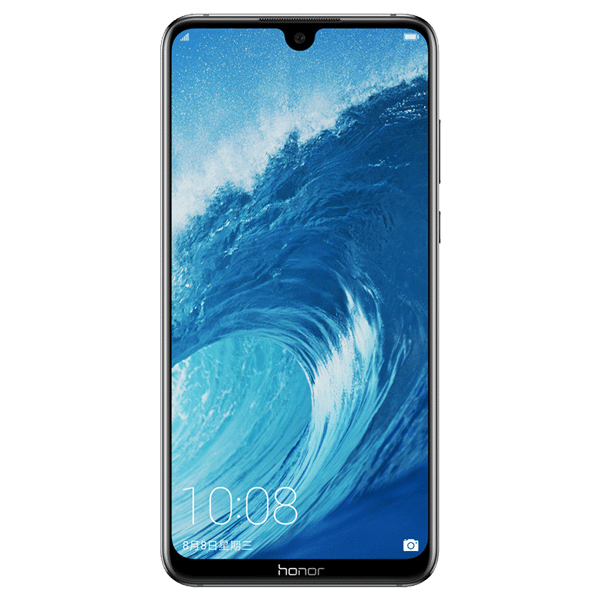 Honor makes another appearance on this list, this time as the most expensive budget phone. But if you’ve got the extra cash, the Honor 8X is well worth it. You get tons of power with octo core processing (quad-core 2.2 GHz and quad-core 1.7 GHz) and 4 GB of RAM. This is a fast phone, make no mistake about it. There’s a huge 6.5 display, and this time you are getting true HD. The 8X has an LCD display with 1080 x 2340 pixels, so it’s sharp, clear, and beautiful to look at. The cameras are incredible too, with a full 16 MP front cam, and a dual lens (20 MP and 2 MP) rear cam, making this a great choice for photographers. There’s 64 GB of internal memory (an SD card slot can add another 400 GB if you need it). And finally, there’s a 3750 mAh battery, so battery life is pretty good too. The only real downside here is price, the 8X is over £200, which could be stretching the budget a bit for some people. Battery life could be improved a little as well, especially given how big the screen is. However, the Honor 8X is an excellent buy, and you should certainly consider it if you have the extra cash. If the G7 Power is a little pricey for you, then it’s definitely worth considering the slightly older G6 Play. There’s a fair amount of power here with octa-core processing and 3 GB of RAM, though this isn’t the fastest phone around. But it’s still more than capable of normal tasks, though high-end gaming and the like could be asking too much. There’s a solid 5.7-inch screen. It’s LCD, and again, not true HD with 720 x 1440 pixels. However, the display is pretty crisp and not bad to look at. The camera set is pretty decent too, with an 8 MP front cam and a 13 MP rear camera. Battery life is excellent, with a 4000 mAh battery and turbocharge tech for quick charging. And you get 32 GB of internal memory, plus an SD card slot to add up to 256 GB more. You are making a small compromise on power here, 1.4 GHz isn’t much, though that is octa-core processing, so it’s not too bad. And again, you’re making a compromise on screen resolution. But for the price, you really couldn’t ask more of the G6 Play, it’s a great little phone. The Huawei P Smart 2019 is probably the best looking phone on this list, with a full screen and no bezels, making it look more expensive than it is. You get plenty of power here, with octa-core processing made up of a quad-core 2.2 GHz and a quad-core 1.7 GHz processor, and 3 GB of RAM. The P Smart is a pretty fast phone, and it’s great at multitasking. The screen is a solid 6.2 inches, so more than big enough for comfort. It’s LCD, but you do get HD since it comes in with 1080 x 2340 pixels, so it’s sharp with great colour. The front camera is an impressive 16 MP, and the rear camera has two lenses (13 MP and 2 MP), making for some great shots. You get 32 GB of internal memory, plus an SD card slot for up to 512 GB more. Finally, there’s a 3400 mAh battery on board. And it’s battery life that’s probably going to be the compromise here, with a screen this big the battery won’t last a full day with heavy use. However, the P Smart is a great looking and powerful phone for under £200, making it a sure crowd pleaser. 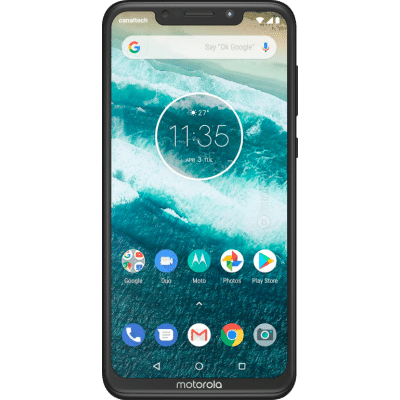 You tend to get a lot of bang for your buck with Motorola, and the Motorola One does get some good specs on it, though it’s a bit on the pricey side. You get octo core processing with a full 8 core 2.0 GHz processor and 4 GB of RAM, so the One is very speedy indeed and truly responsive to input as well. That display is a decent 5.9 inches, so nice and comfortable. It’s an LCD screen though, and it’s not true HD, with only 720 x 1520 pixels. The camera set is excellent though, with an 8 MP front cam, and a dual lens (13 MP and 2 MP) rear cam making for some great pictures. You get a full 64 GB of internal storage, plus that SD card slot for up to 512 GB more. And a 3000 mAh battery, along with fast charging tech. The One is certainly powerful. However, screen resolution could be improved, as could battery life. It’s a solid device with great cameras though, so this could be the perfect phone for those who like taking pictures. 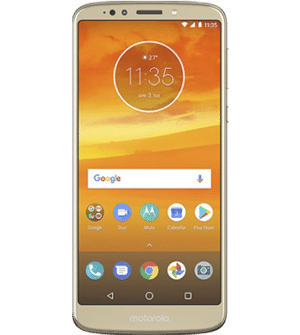 For just £140, the Moto E5 Plus is a great choice for those looking for a big screen phone. Power is acceptable, but only just, since the E5 gets quad-core 1.4 GHz processing and 2 GB of RAM. This isn’t a super fast phone, but for kids or those who aren’t too demanding it should be fine, and it’s more than good enough for general use. You do get a full six-inch display, which is impressive in a phone at this price point. It’s LCD and not quite true HD with 720 x 1440 pixels. But it’s not bad to look at at all. The cameras are pretty decent too, with a 5 MP front cam and a 12 MP rear cam. Internally you’re getting 16 GB of memory, but again, an SD card slot lets you add up to 256 GB more, which should be fine for most people. Best of all though is a massive 5000 mAh battery, which should be more than enough to last through the day (and into the next day too). Screen resolution and power are the obvious compromises here. But for a light to regular phone user, these shouldn’t be big issues. And that battery life is a real selling point. 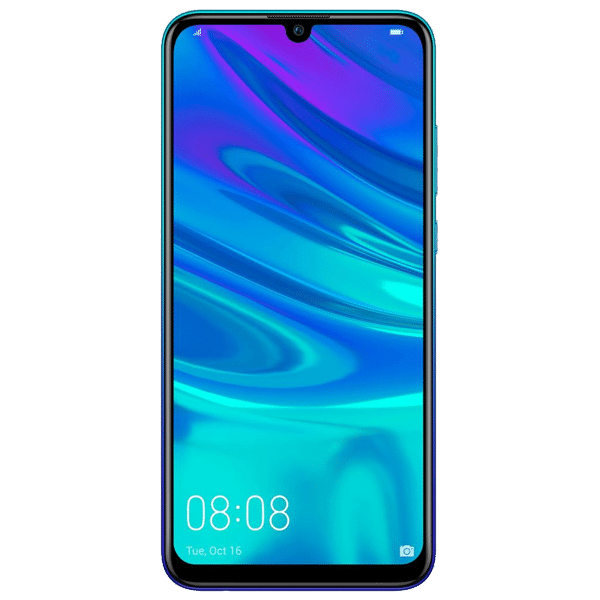 Another looker from Honor with a full screen and no bezels is the Honor 10 Lite. And this is a great phone, regardless of budget. You get fast octa-core processing with a quad-core 2.2 GHz and a quad-core 1.7 GHz processor, along with 3 GB of RAM. Speeds are great here, as is responsiveness, and performance is flawless. The display is a large 6.2 inches, so very comfortable to look at and to type on. It’s an LCD screen and you do get true HD, since it’s got 1080 x 2340 pixels, so it’s beautiful to look at. The camera set is awesome too, with a huge 24 MP front cam and a dual lens (13 MP and 2 MP) rear cam. There’s a solid 64 GB of internal memory (plus that SD card slot for up to 512 GB more). And finally, a 3400 mAh battery. The only real downside here is the battery since 3400 mAh isn’t huge for a phone with a display over 6 inches. 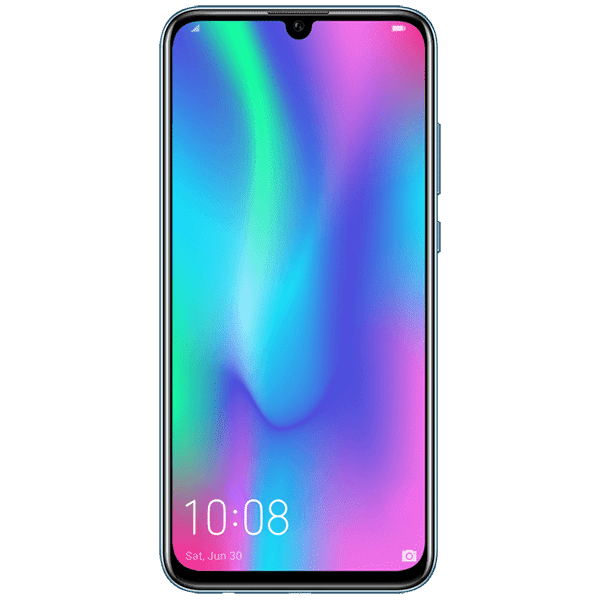 However, all the other specs are brilliant, making the Honor 10 Lite a fantastic buy for its price. The good news is you don’t have to spend a fortune to get a decent smartphone in 2019. You can get good quality phones with great features, everything you need in a smartphone, for less than £200, sometimes even less than £100 as we’ve shown. Cheap smartphones are not necessarily always bad either. In fact, in some regards, they are better than expensive flagship phones. They often bring more value to the table than the big boys and you might be surprised just how close the overall performance is to phones that retail in excess of £1000.